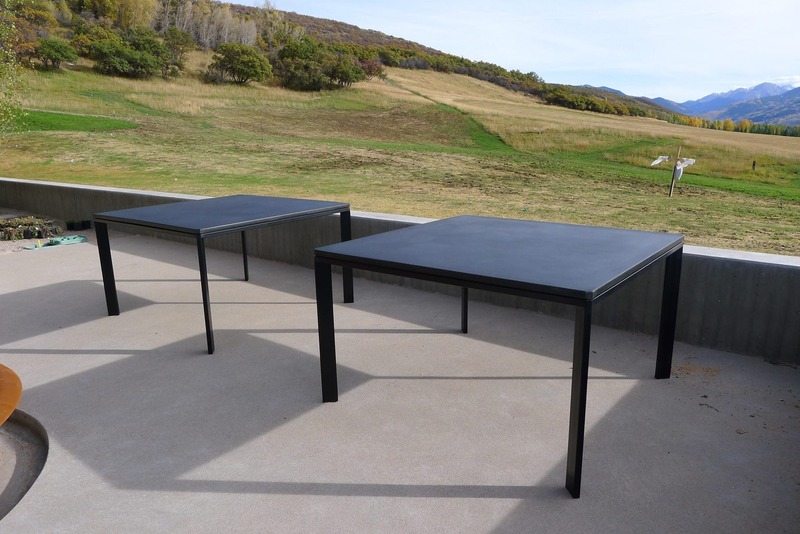 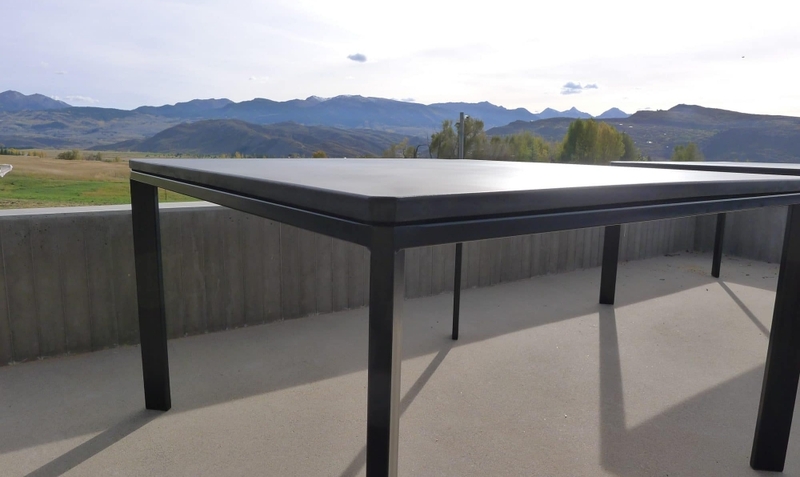 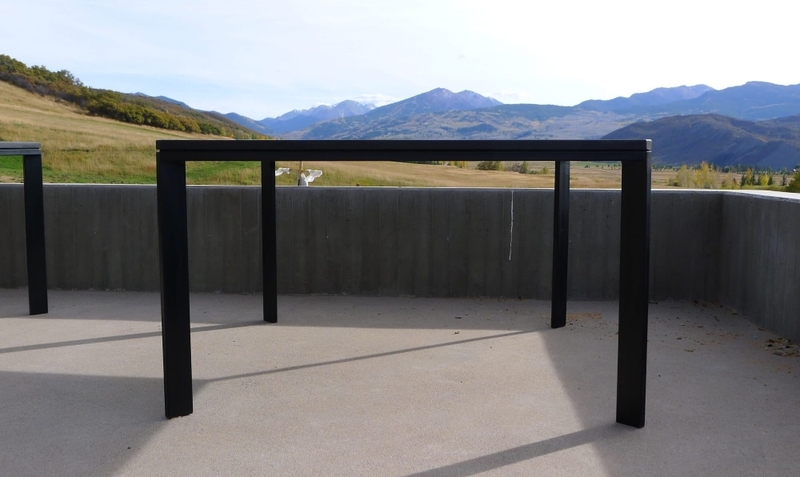 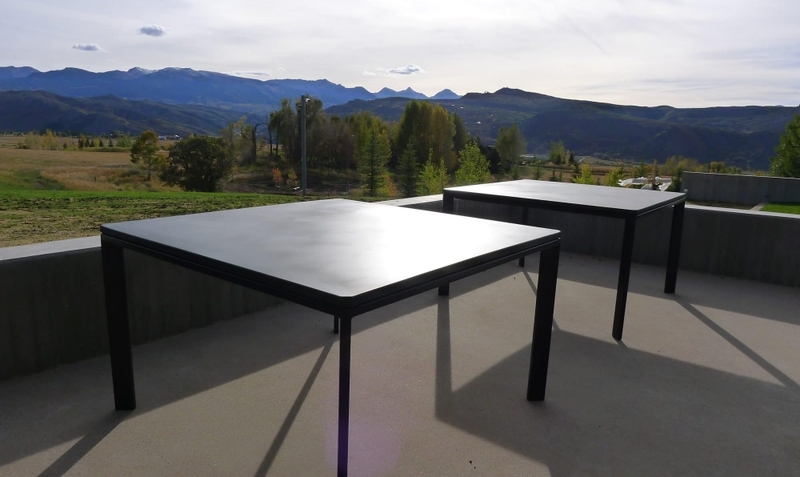 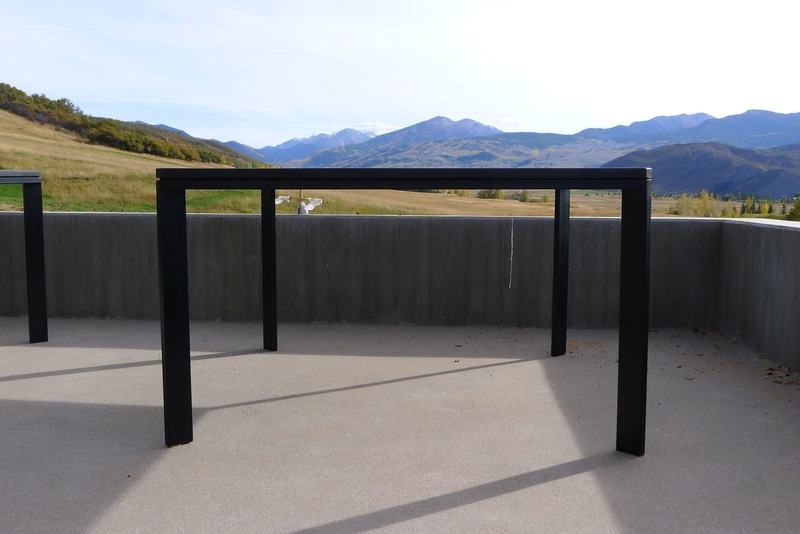 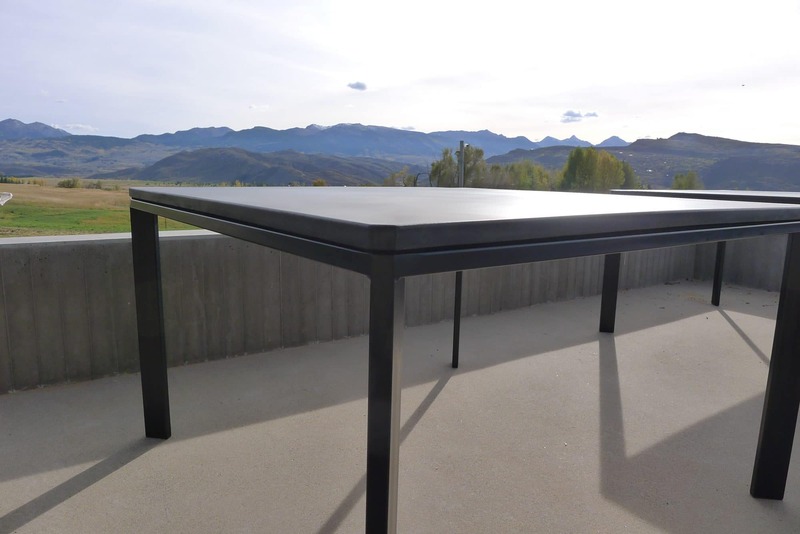 A matching pair of black-on-black outdoor concrete dining tables grace the patio of this home far up Woody Creek Canyon with amazing views of the Aspen Mountain Ski Area. 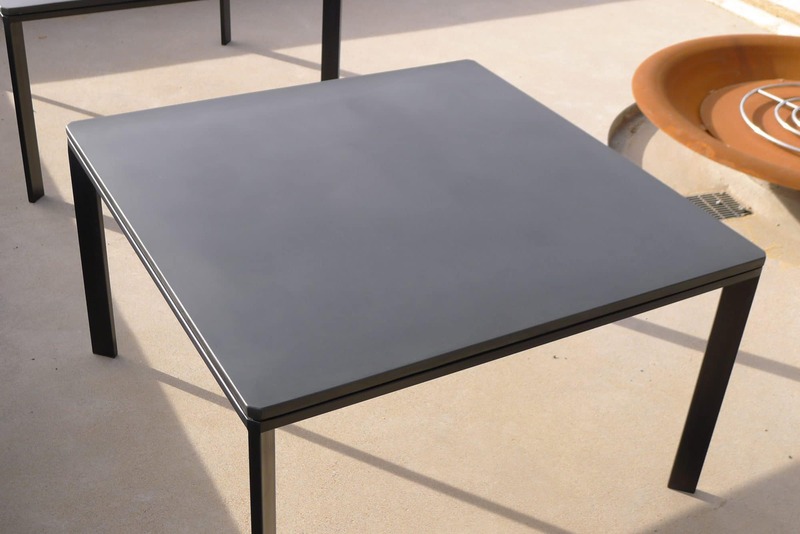 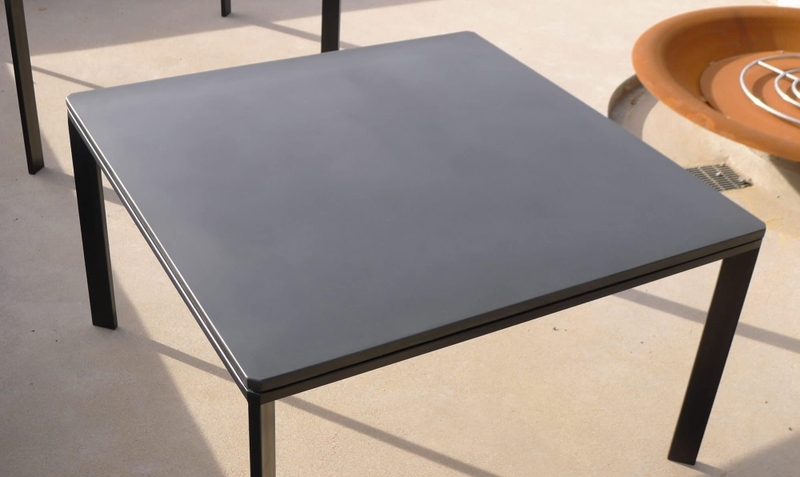 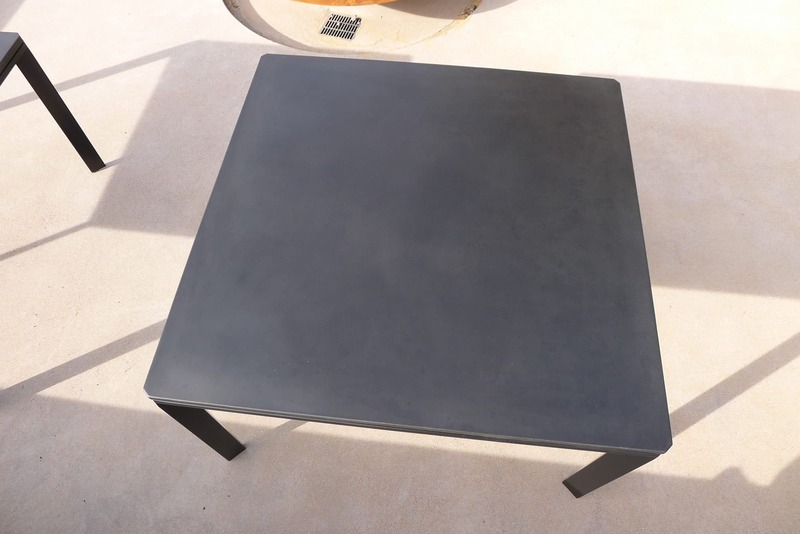 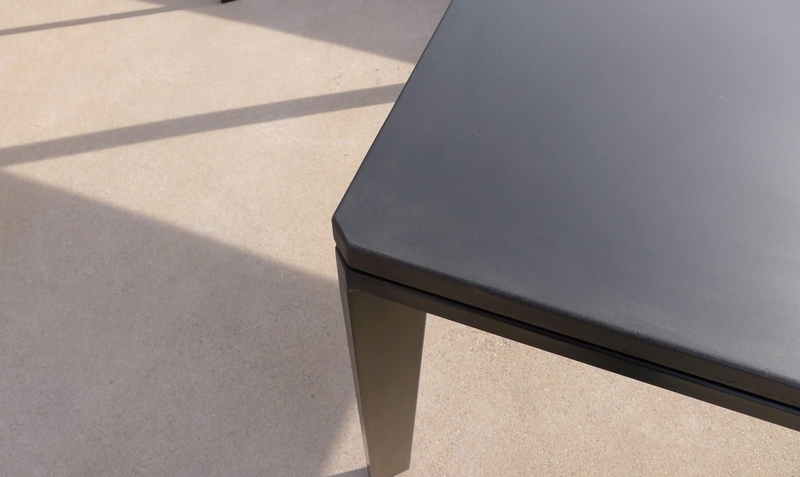 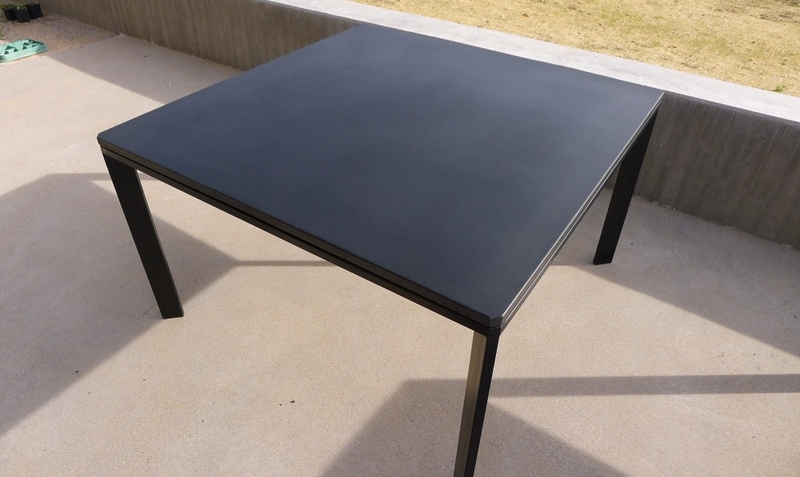 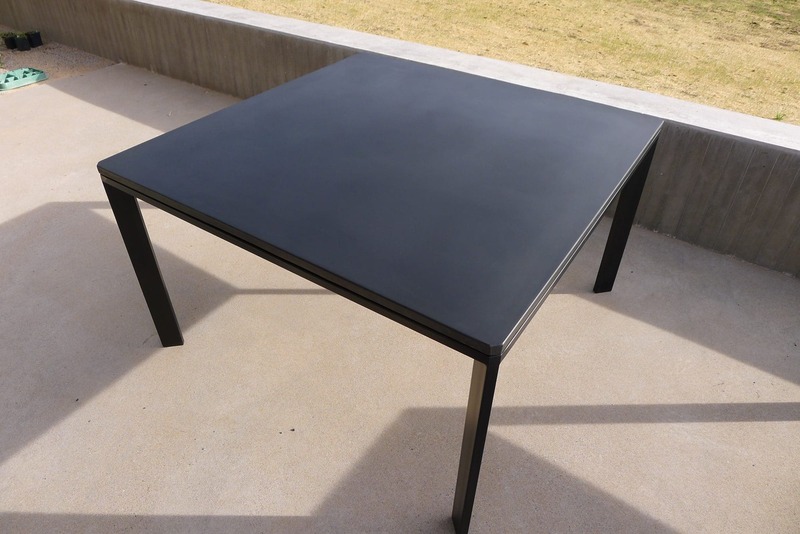 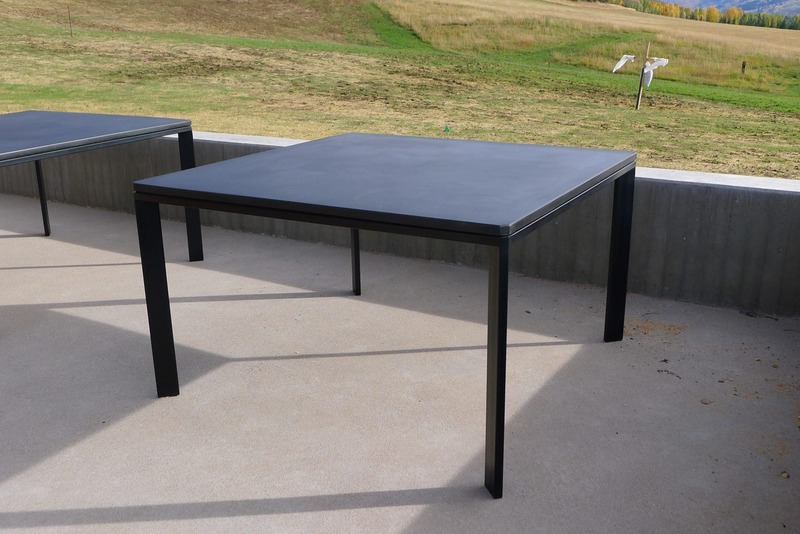 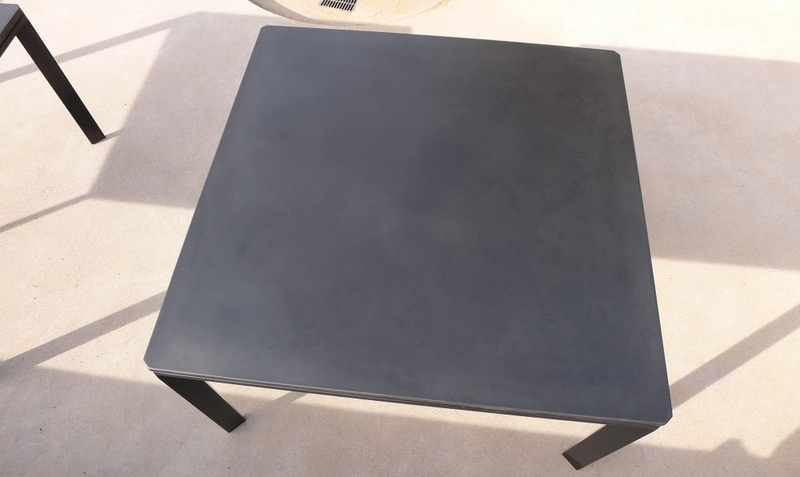 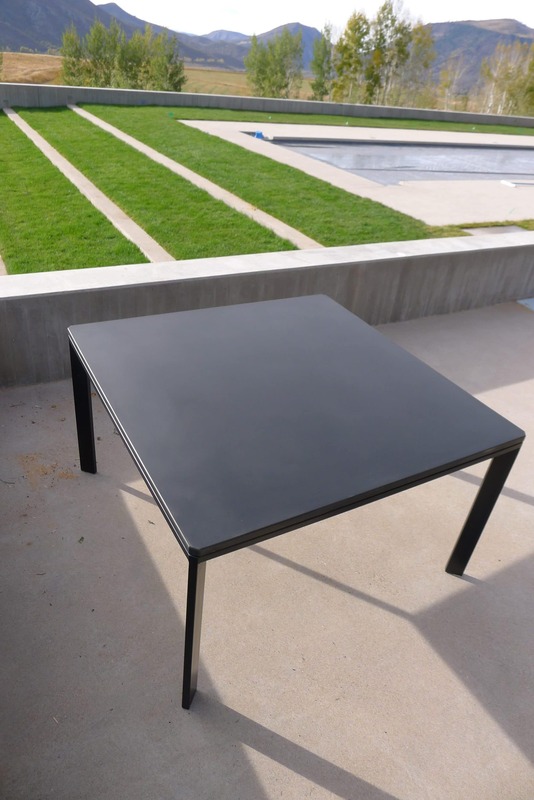 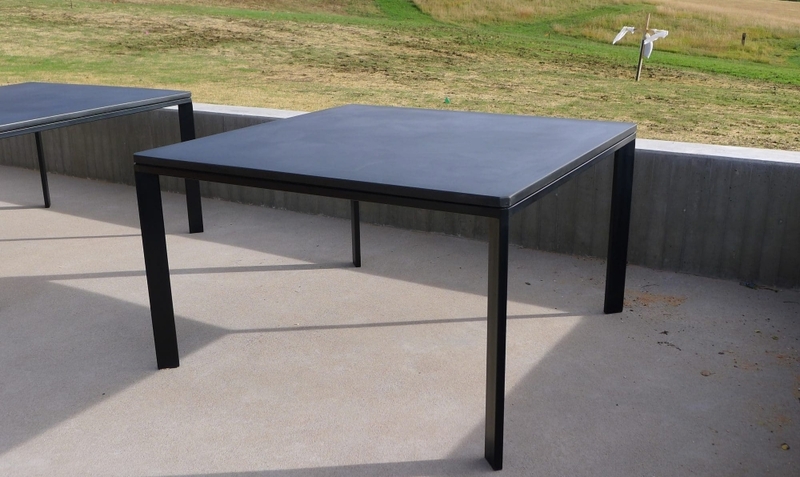 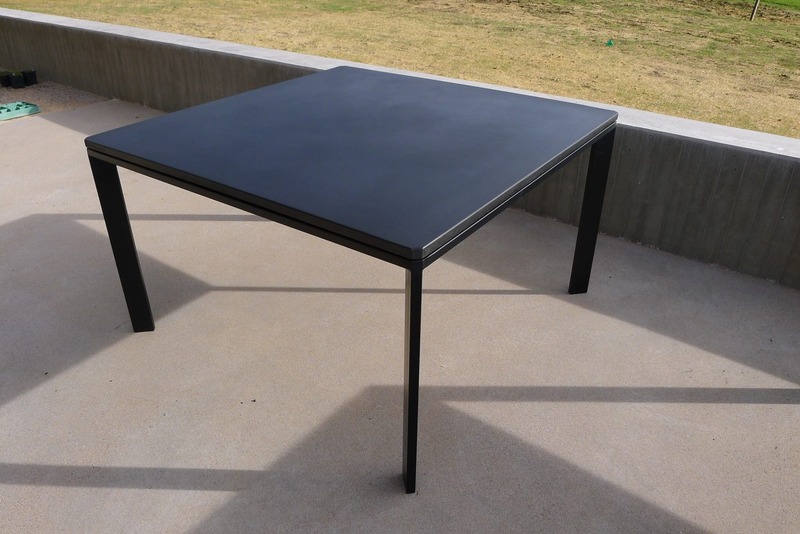 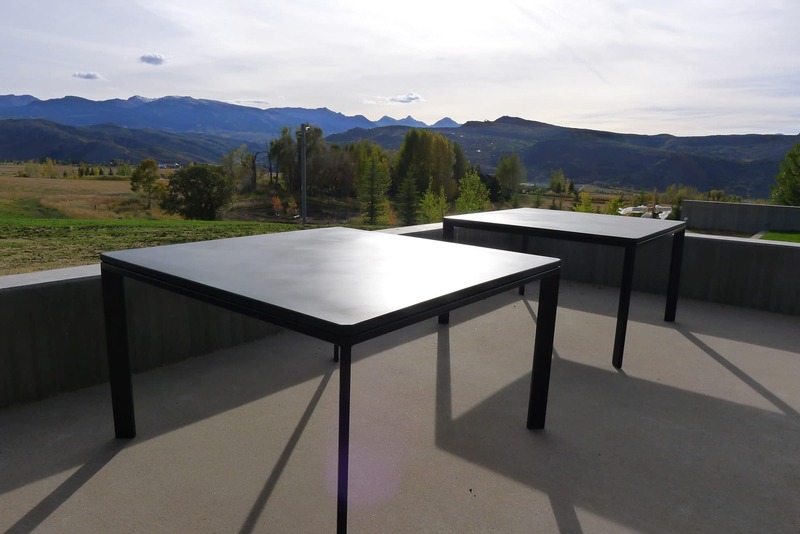 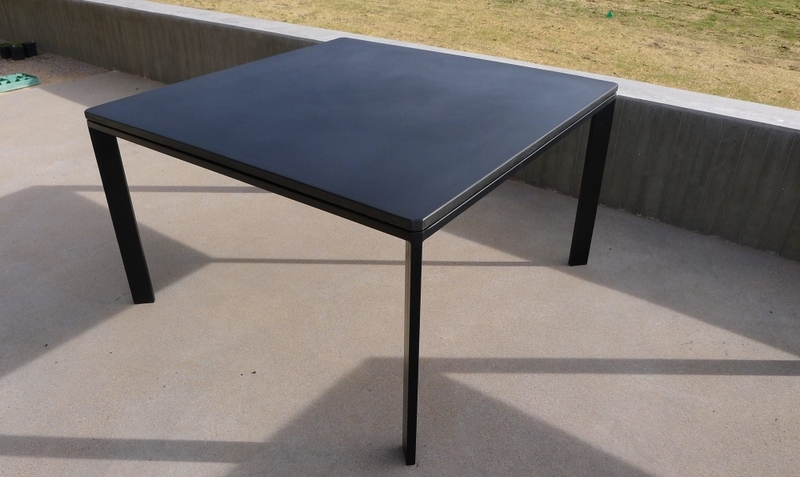 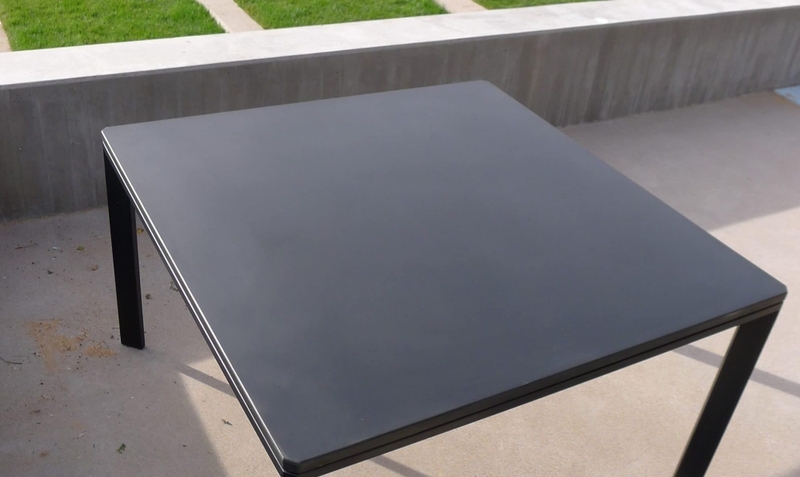 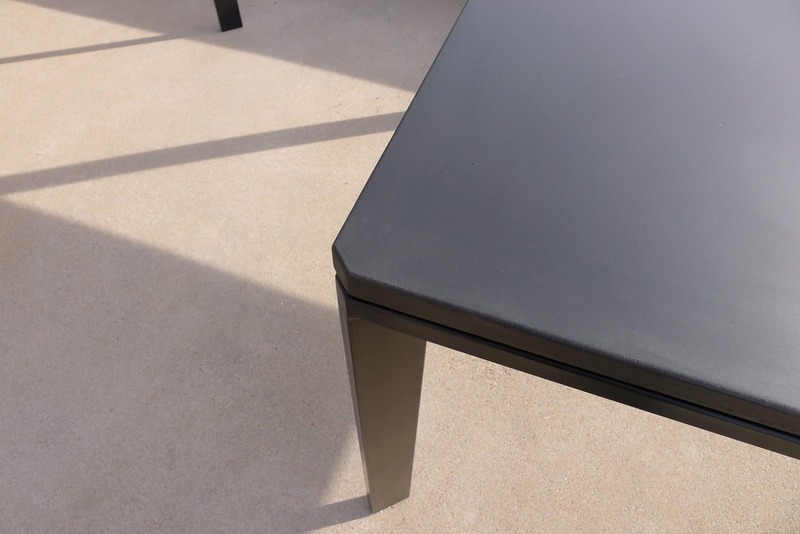 The ‘murdered out’ color scheme consists of ‘Coal’ black concrete and a black satin powdercoat on the custom steel bases. 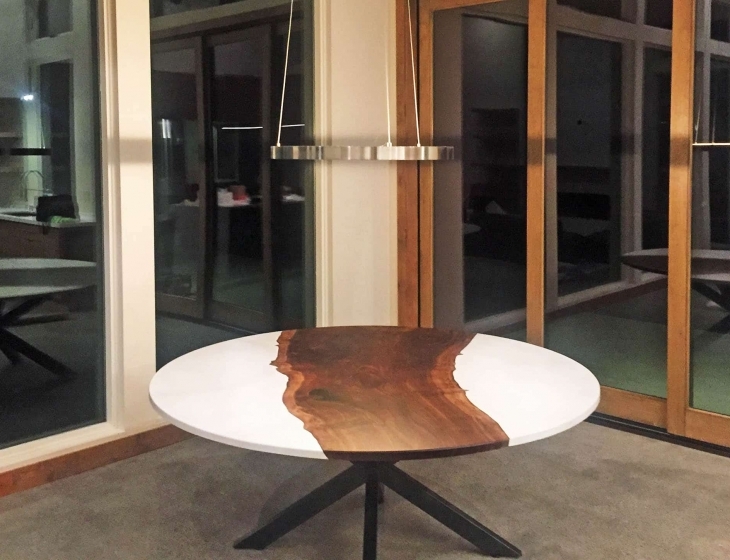 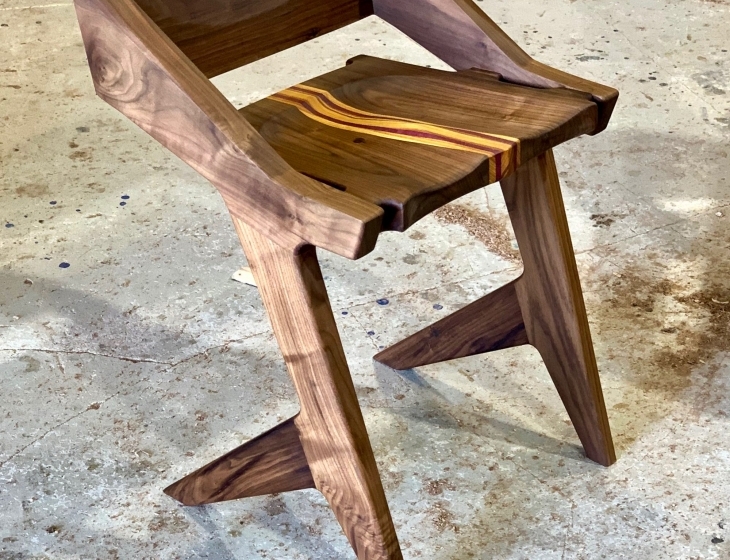 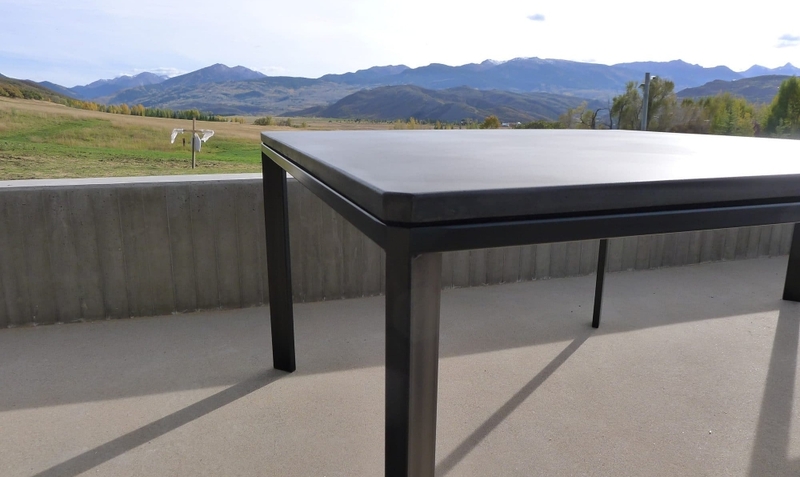 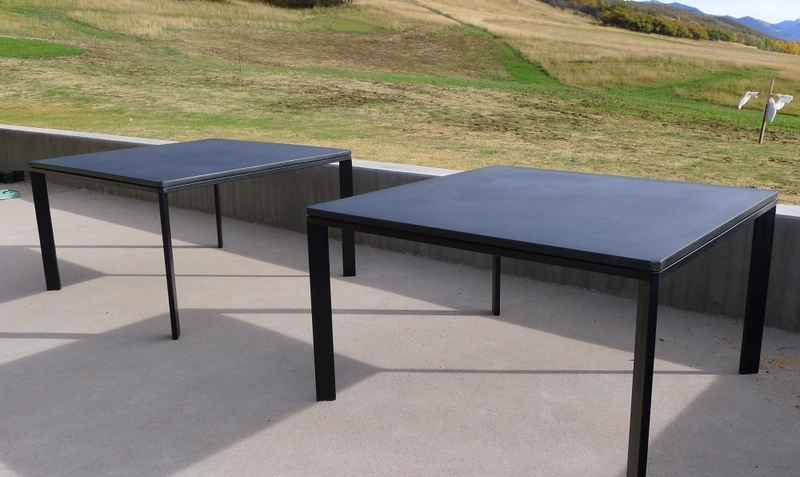 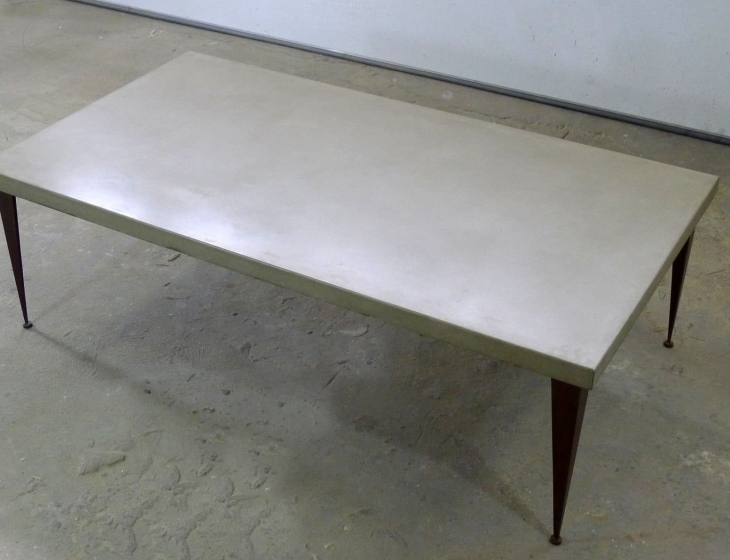 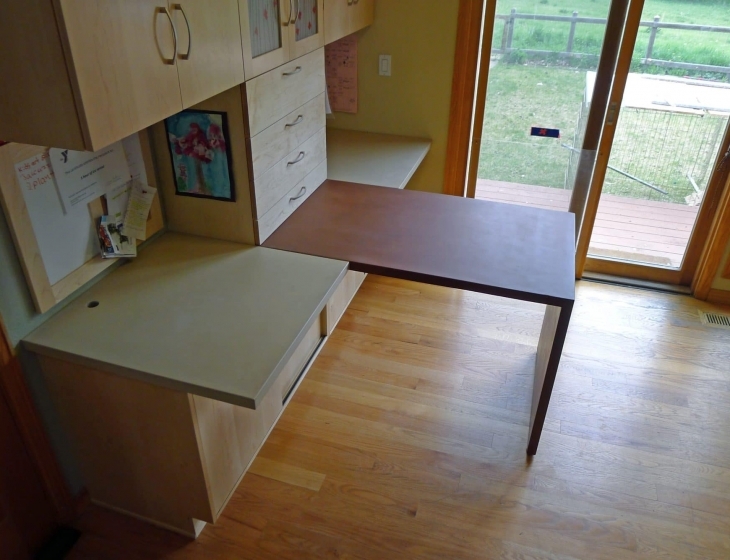 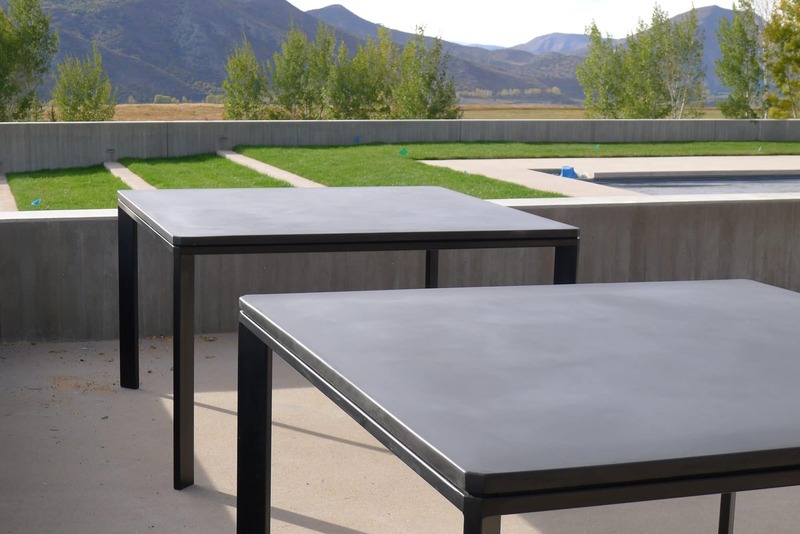 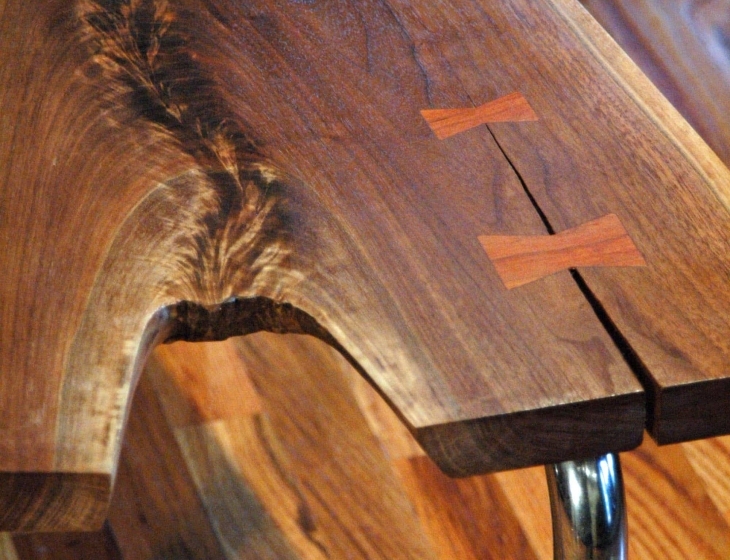 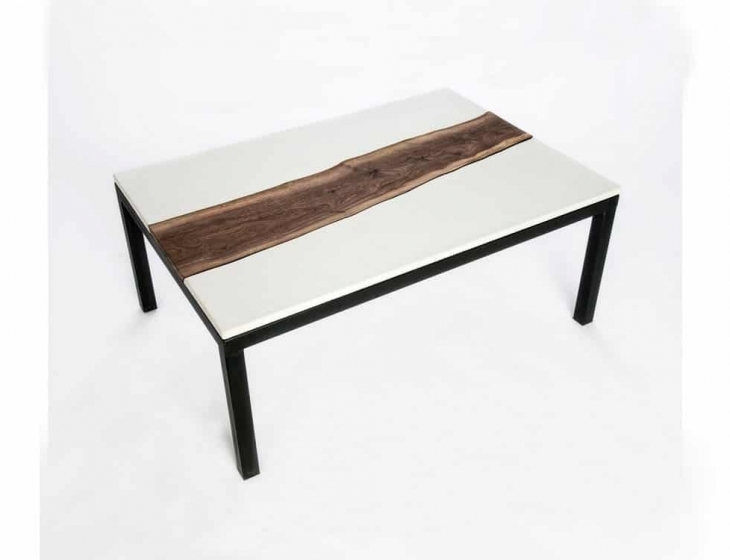 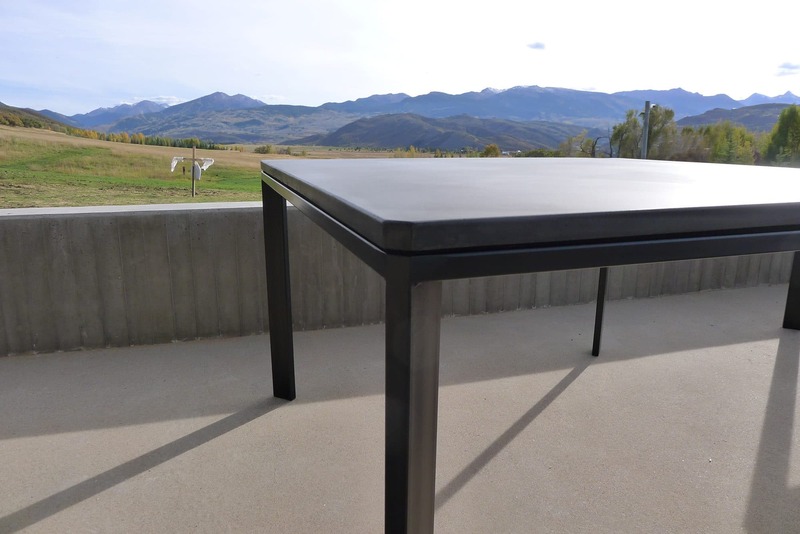 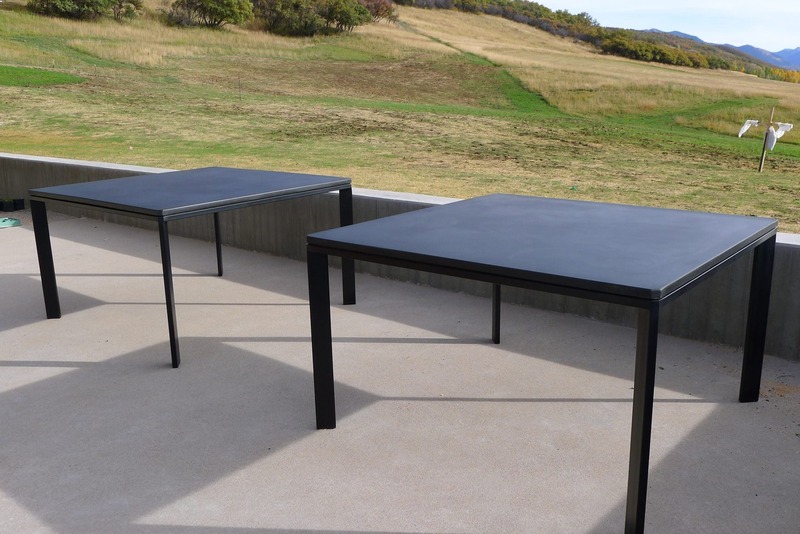 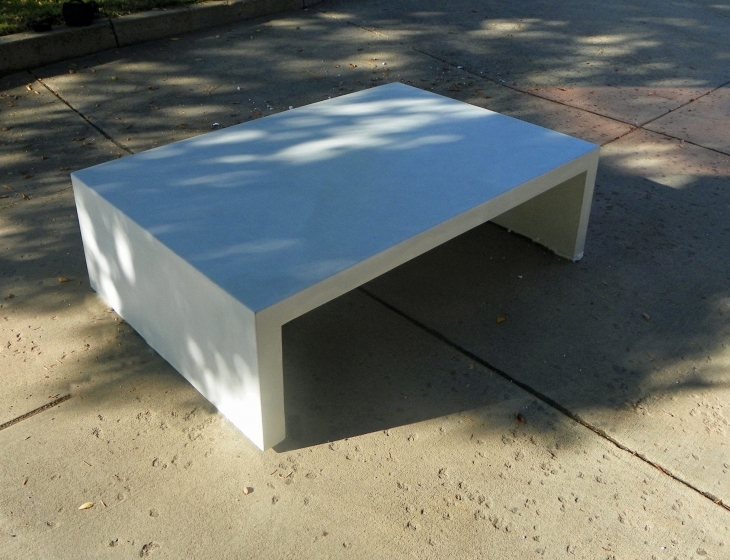 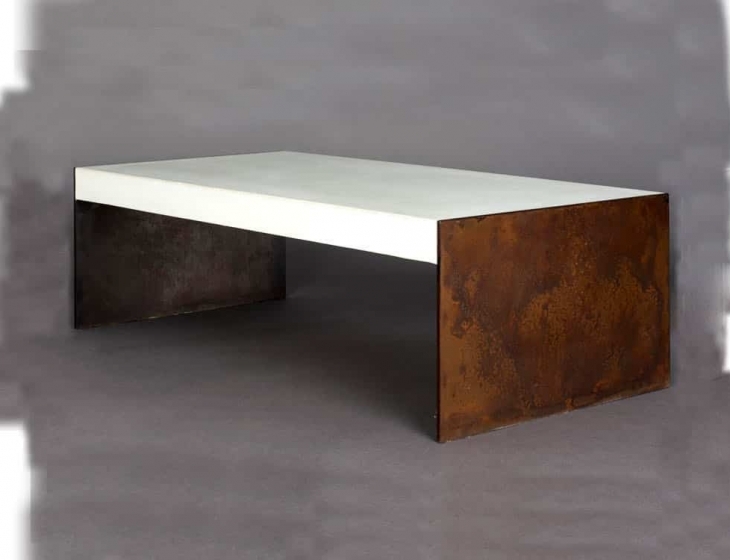 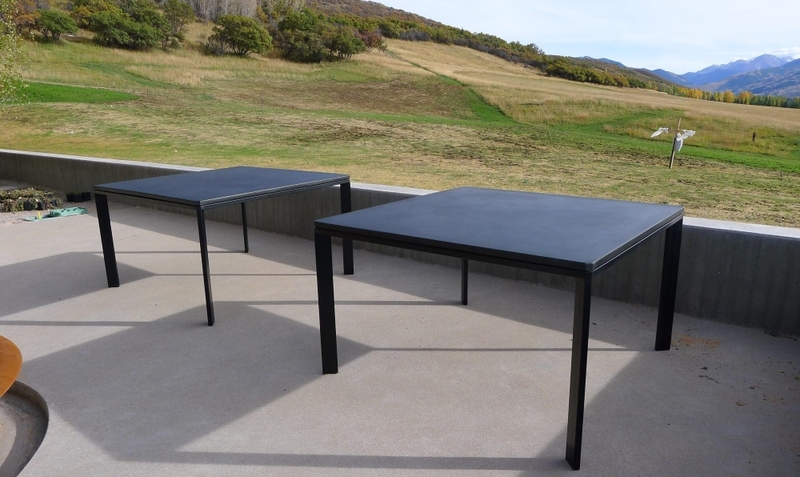 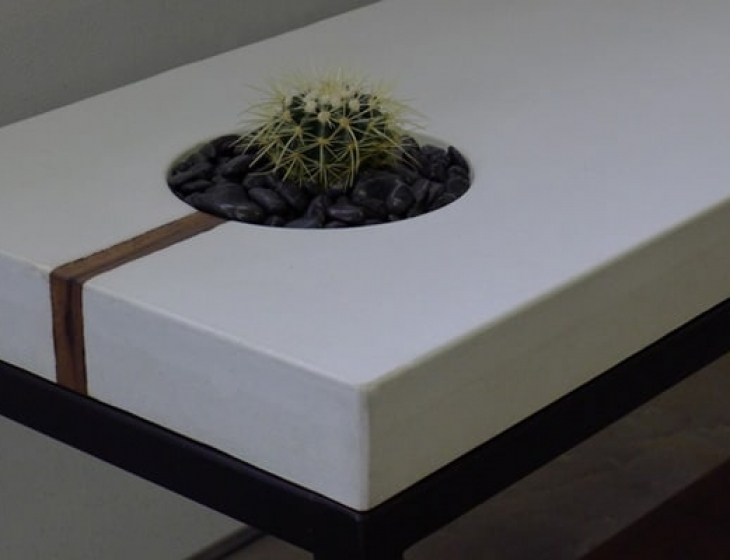 The rectangular steel table legs are set at a 45 degree angle that gives these tables their sense of visual lightness.